Today, our Chief Executive Barry White met with civic and business leaders from the North East to discuss Transport for the North’s Strategic Transport Plan. 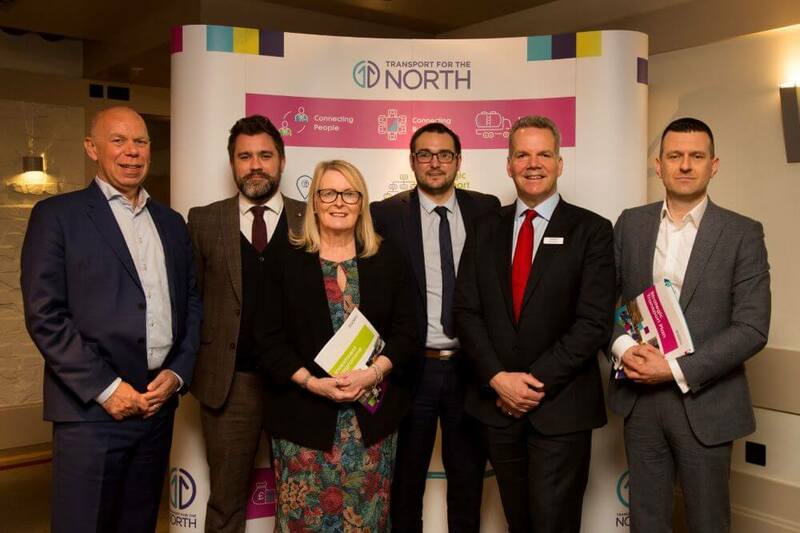 Following our pan-Northern launch in early February, the event in Newcastle provided an opportunity to engage with local leaders and outline how the plans will deliver transformed connectivity for the region. The event follows a momentous few weeks for the North, as our board approved the Strategic Transport Plan and the high-level business case for Northern Powerhouse Rail. The Investment Programme, which accompanies the Strategic Transport Plan, contains transport interventions that would transform connectivity across the North East, and the rest of the North. Potential interventions that will benefit the North East and North of Tyne, include enhancing rail capacity from Northallerton to Newcastle, Newcastle station platform lengthening, improvements to the A19, and the Blyth relief road. The Investment Programme also includes highway and rail access improvements to the North East port and Newcastle International Airport, including a A69 – A696 – A1 link road via the airport and heavy rail improvements, such as connections to the East Coast Main Line. Northern Powerhouse Rail will also transform the region, bringing 15,000 more businesses, and 300,000 more people within 90 minutes of Newcastle City Centre. Rail travelers will also enjoy quicker journey times, a journey between Leeds and Newcastle could take 30 minutes less than today, down from 88 minutes to 58 minutes. Barry White, Chief Executive at Transport for the North, said: “Today was a fantastic opportunity to launch and talk about the Strategic Transport Plan in the North East. “The area is home to world-class industries, and a thriving energy sector, as well as major international ports and an international airport. Our Strategic Development Corridors demonstrate that by connecting these key economic assets and areas of the North, we can transform connectivity and unleash our potential. “For the millions of people that call the North East home, the Strategic Transport Plan and Northern Powerhouse Rail will mean they have more choice over where to live and work, access to more opportunities, and better connections to family and friends. Andrew Hodgson, chair of the North East Local Enterprise Partnership, said: “Improving transport connectivity is central to the North East’s own Strategic Economic Plan so we fully support the ambitious proposals set out by Transport for the North. “We want to be a region that champions sustainable and active travel and connects seamlessly with the wider Northern Powerhouse. It is vital for the prosperity of the North East that we address the fundamental challenges facing our transport. Cllr Arlene Ainsley, representing the North of Tyne Combined Authority, said: “For too long the north has lost out on much-needed investment in our transport network and it’s time to change that. By working together, we have a stronger voice to government to secure the investment that the region needs and deserves. Cllr Carl Marshall, who represents the North East Combined Authority on the Transport for the North Board said: “What sets this plan apart is the fact key partners across the North are working together to deliver change. For the first time we are speaking with one voice on matters of strategic transport, providing the Government with a collective view on what investment is needed in the North-East. “The plan will help us deliver key priorities, including improvements to the A1, A19 and A66, along with upgrades to the East Coast Mainline, Durham Coast line and the stations along the route. The event in Newcastle, which attracted more than 40 business leaders from across the North East, heard Graeme Mason, Planning and Corporate Affairs Director at Newcastle International Airport and Kevin Bell, Transport Partner at leading law firm Womble Bond Dickinson, describe the difference that sustained new investment would make for the region. Find out more about the Strategic Transport Plan and the Investment Programme here.